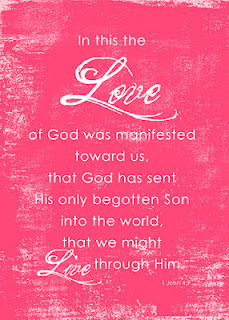 I John 4:9 states "In this the love of God was manifested toward us, that God has sent His only begotten Son into the world, that we might live through Him." This is a 5x7 print you may download and print for personal use. 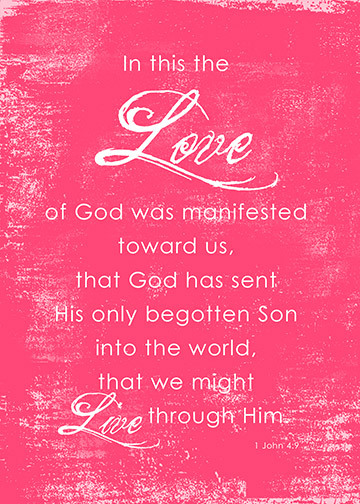 Frame it to decorate your home for Valentine's Day or make it into a card to share with a friend. Enjoy!